1. 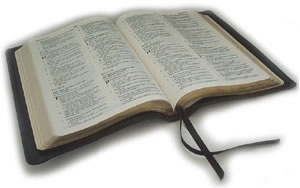 The Holy Scriptures, both Old and New Testaments are God's revealed Word to man. [It is] the guide to salvation and all Christian worship and service. 2. Scripture teaches that there is one and only one true and living God. He has chosen to reveal Himself as Father, Son and Holy Ghost. 3. Creation: God spoke into existence the world and all things that it contains. God created man in His image. 5. Jesus Christ, the Son of God and the Son of Man, was born miraculously of the Virgin Mary. He lived a sinless life. He came into the world to save men from the guilt and condemnation of sin (John 3:16,17), offering His blood as an atonement and making it available to all who exercise faith in Him. He experienced bodily resur­rection from the dead and was exalted to the right hand of God. Also, His divinity is proved from His titles, His attributes, and His works. 6. The Holy Spirit [possesses] the acts and attributes of an intelligent being. He guides, knows, moves, gives information, commands, forbids, sends forth, reproves, distributes spiritual gifts, and can be sinned against. The works of God are ascribed to the Holy Spirit, including creation, inspiration, giving of life, and sanctification. 7. Salvation is by grace through faith, is a free gift, and is wholly without human works. 9. We believe in the personal, imminent return of our Lord and Savior Jesus Christ. We also believe in the bodily resurrection of the just and of the unjust, the everlasting blessedness of the saved, and the everlasting punishment of those who are lost and without Christ. 10. We believe in the Second Coming of Christ followed by the visible return of Christ with His saints to reign on the earth for one thousand years. 11. There will be a final judgment in which the wicked dead will be raised and judged according to their works.